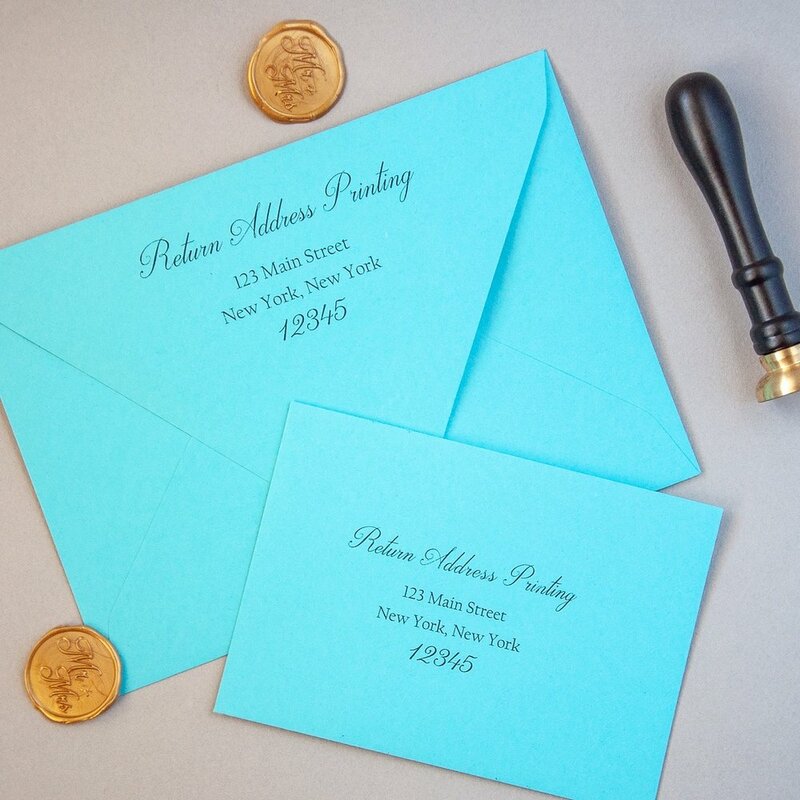 Polish your Wedding Invitation Suite with our self-adhering, customized wax seals. Available in 27 colors and stamped with your initials, you can place them on vellum jackets or with a wax seal for a classy and timeless look that will wow your guests. This simple detail goes a long way when it comes to wedding day elegance. 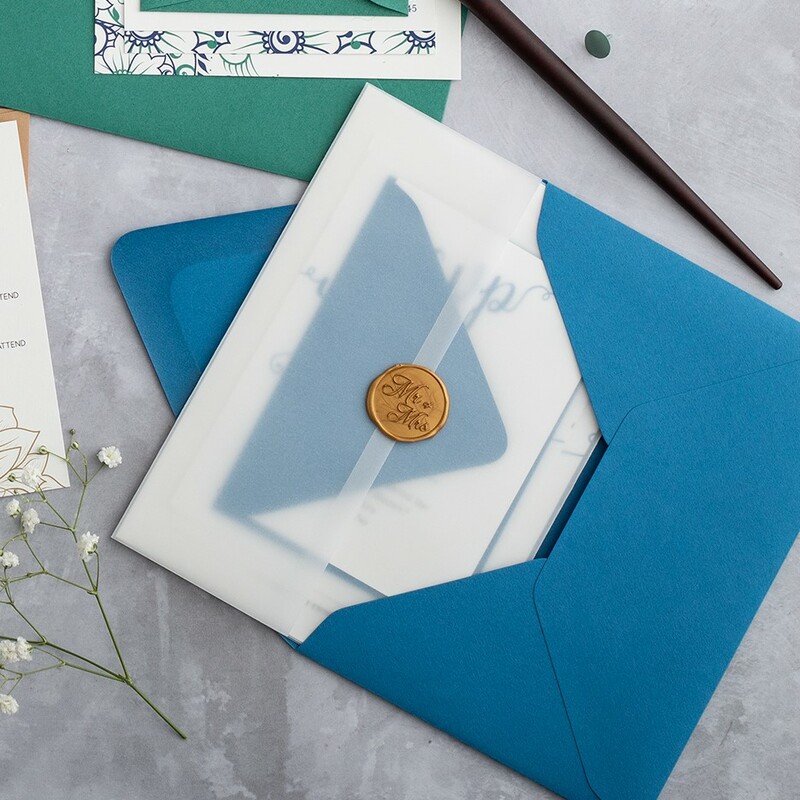 Dress your wedding invitation suite with our translucent vellum jackets for an additional layer of class that turns your wedding invitations into a keepsake for your guests. The beauty is in the details when you tie together your wedding invitation suite in a delicate hand-dyed silk ribbon. Aavailable in over 20 colors, it’s a simple and elegant finishing touch. Make your wedding invitation design pop with a customizable belly band. This modern finish adds a notable element of style to your wedding invitation suite. Standard belly bands available in 27 colors, with options for custom printing. Ordering from our Lotus Collection? Enhance your wedding invitation suite with our tree-free Lily Set belly bands. Choose from 11 stunning designs to add some extra flare to the minimalist Lotus Designs, without adding clutter to your crisp, clean invitations. Sourced from highly renewable organic cotton in India and Lokta plant from Nepal. Complete your set with matching envelope liners, also sourced sustainably! Add an extra touch of quality and class to your packaging with our envelope liners. Available in 27 colors for both the Mailing and RSVP envelopes, they’ll make your designs stand out in style. 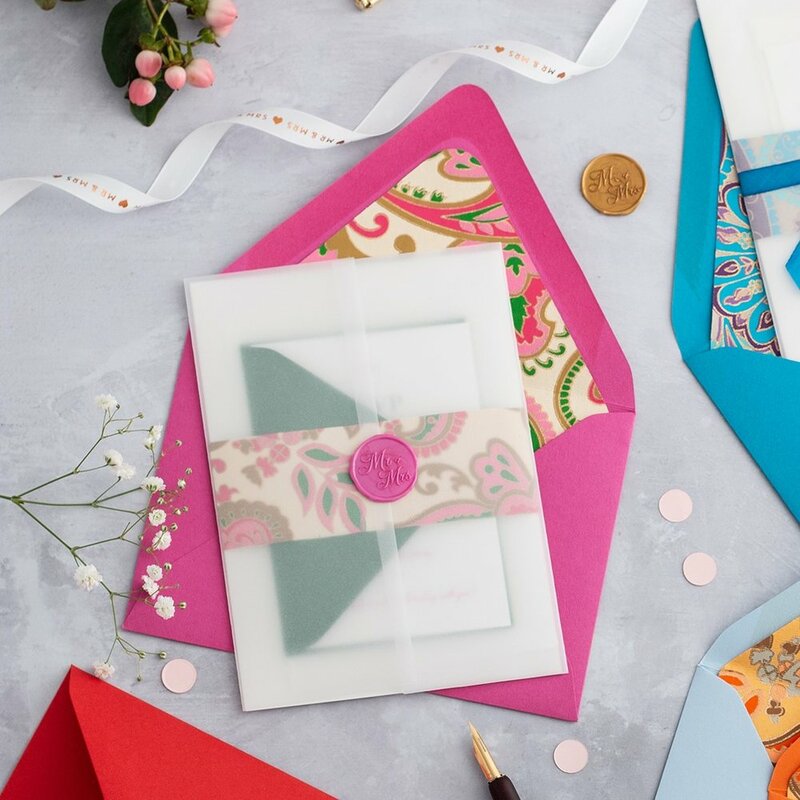 Enhance your wedding invitation suite with our tree-free Lily Set envelope liners. Choose from 11 beautifully designed liners add some extra flare to the minimalist Lotus Designs, without adding clutter to your crisp, clean invitation suite. Sourced from highly renewable organic cotton in India and the Lokta plant from Nepal. Complete your set with matching bellybands, also sourced sustainably!